During summer season in Branson, many of the visitors want to spend their time by taking a tour on the lakes to help beat the summer heat. 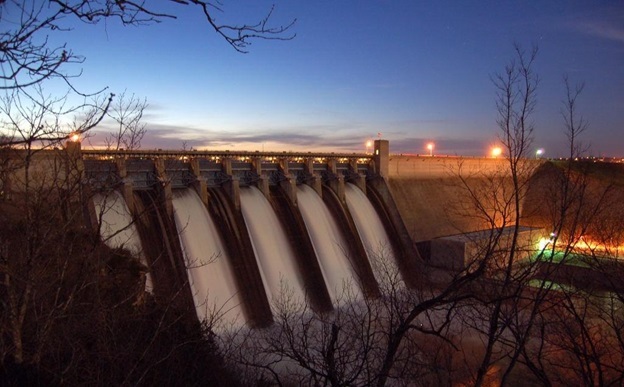 Some visitors can experience the fun and excitement when they tour the Table Rock Dam during summer season as they can feel a cool and refreshing atmosphere coming from the cold waters of the dam. This massive structure creates hydro-electric power while maintaining the pristine water of the 43,000 acre Table Rock Lake. The tours to Table Rock Dam and Powerhouse are available daily from March through October. At Table Rock Dam, you can enjoy the tour better if you take a helicopter ride with your family and explore the beauty of the dam. The scenic helicopter tours will take you over Branson and anywhere else you want to go in Missouri, Arkansas, and to as far as Oklahoma. With the helicopter tour, you will get to see the amazing Ozark Mountains, Table Rock Dam, Powersite Dam, Lake Taneycomo, Silver Dollar City, and Branson Landing from the wide window of the helicopter giving an open view up from the sky. The Chopper Charter Branson offers a helicopter tour to see those spectacular views. The helicopter tour in Branson has a list of tours that begin with the simple thrill of helicopter flight and take you through a fascinating aerial experience. With the helicopter tour, you will feel an awesome experience as you start to soar above the ground during your introductory flight. No matter what kind of exciting place you want to see from above, helicopter rides in Branson will bring you there. Imagine, seeing spectacular views of famous landmarks such as Table Rock Dam and Ozark mountains. Some of the helicopter tours in Branson offer great package to surprise your loved one. This helicopter tour experience is great for newlyweds, anniversaries, and one of the best wedding proposal ideas. There are always several couples every tourist season that go on a romantic dinner flight to a prominent restaurant in Branson and are picked up after their meal. There are five tour options offered by Chopper Tour Branson on a 7, 12, 17, 22, or 30-minute flight around the Branson area. Each tour always brings you more awesome experience as it is routed in different areas. On the 7-minute flight, you can either take a flight over Branson Landing or to an aerial view of the Table Rock Dam – either way, you will get to see fantastic views of the beautiful lakes of Branson. On the 12-minute flight, you will soar over to the majestic Inspiration Tower, allowing you to see panoramic views of the Ozark mountains. On all other tours, you can see expanded view of the Ozark mountains and Lake Taneycomo. The 30-minute flight allows you to customize your tour to a place you have in mind. Touring the Table Rock Dam with your family and friends whether by land or helicopter ride, you are sure to beat the summer heat.